Anyone who reads this blog regularly (which mathematically is equal to 100 x 0) knows that I love great marketing and even more, great graphic design that supports that marketing. All new organizations fully understand how important it is to make sure your target audience knows who you are, what your name is and what you can do for them. Marketing people in those new companies know you should never stop doing that. Ever. Sadly, you don’t see that combination of great marketing and graphic design a lot in the voiceover industry…until recently. If you haven’t seen their posts on their social media pages like Facebook, you missed some pretty great examples of how to get a voiceover branding message across to your audience in a visually memorable way. 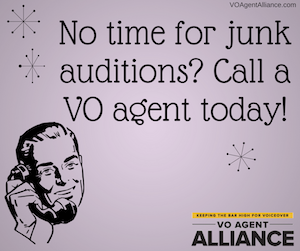 A little background – the VO Agent Alliance was formed after a disreputable Canadian voiceover pay-to-play company secured venture capital money to, among other things, acquire a major California-based voiceover lead generation service in August 2017. 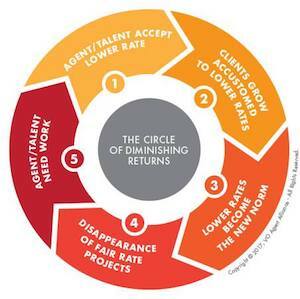 The lead generation service was a significant marketing tool for voiceover agents but now with new owners, who have been found to skim money from voice talents to keep for the company coffers as part of their P2P division, Alliance agents did not want to be associated in any way with the voiceover lead generation service’s new owners. 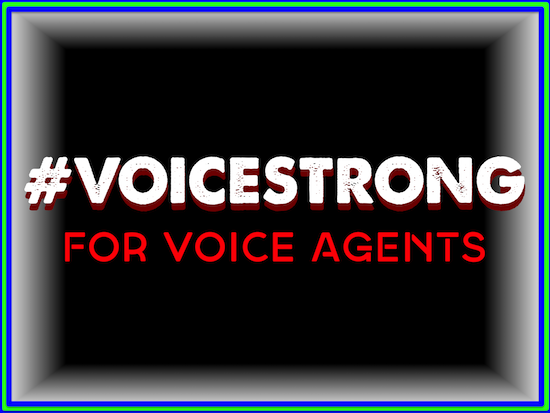 Thus, the VO Agent Alliance was formed bringing together long time voiceover agency owners, smart business professionals, who were not going to take an attack from a disreputable Canadian voiceover pay-to-play company on their voiceover agency businesses sitting down. Well that’s my view on the situation, anyway. 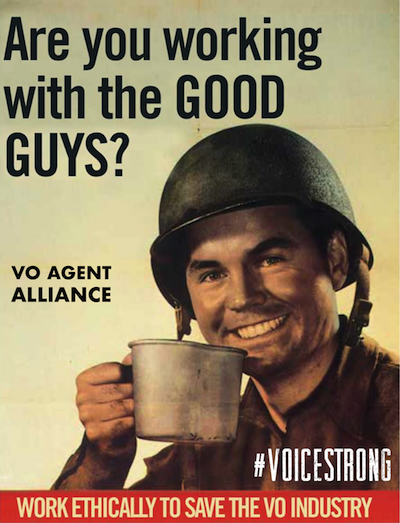 So the war poster motif (a design style most popular in the states during World War II) now seen in these graphics seem really apropos for the VO Agent Alliance. Plus, I just think they are super fun, creative and memorable. 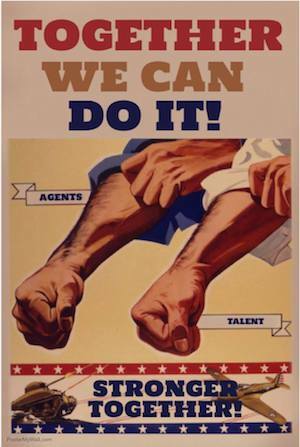 The only critique I have about these WWII-era-like posters is that there should have been some kind of tag or logo tie in either with the #Voicestrong movement or with the VO Agent Alliance wordmark or website address. For example, I grabbed one of their posters and branded it just a little more and it looks like this. Just a little extra branding to make the purpose of these posters a little clearer. But again, great overall work on the creative by the VOICEOVER AGENT ALLIANCE . Most of us have seen the memes with the mid-Century looking clip art. It’s been done, right? But the reason it’s been done and gets done again is because it gets people’s attention. People look. People read. People react. All of which is a marketer’s and new business owner’s dream. I’m sure most folks understand the purpose of infographics but just by way of brief explanation for those who do not, infographics are a way to share fairly involved messages in a more interesting way than just paragraphs. Inforgraphics help tell the story of message (often times complex but not always) through the creative use of words, typography, graphics and color. These information style seems to have really become popular in the last 5 years…but that’s just my novice opinion — someone smarter (anyone smarter) can give you better details than me. 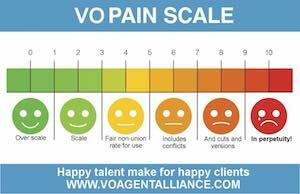 Be that as it may, my friends at the VO Agent Alliance have also used infographics as a way to break down their messages and service in a more understandable way. 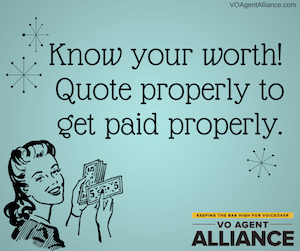 While a bit of creative whimsy may be taken by the reader in the first two sets of graphic examples, like it’s genre, the VO Agent Alliance infographics are pretty much all business. There are some others that are also swell, but I just wanted to share some of my favorites as a way to maybe help you rethink some of your visual branding. Not so much to steal any ideas here but maybe as an inspiration for an idea to help you convey your voiceover business messages to your clients across a spectrum of marketing channels. After the announcement a few weeks back regarding the purchase of a Los Angeles-based online casting service by a disreputable Canada-based pay-to-play voiceover service, I had the chance to speak with many of my voiceover talent agents as well as agents from voiceover agencies where I am not on the roster. All of them would be significantly impacted by this online casting service purchase. Those agents that I spoke with and many other used the Los Angeles-based online casting service to feed auditions to voice talents like myself. If the voice talent agents stayed with the Los Angeles-based online casting service after this sale, they would likely have been subjected to predatory fee reductions by the disreputable Canada-based pay to play voiceover service. But many voiceover agencies did NOT stay with the new owner. Voice talent agencies have been resigning from the Los Angeles-based online casting service in droves, so bad is the reputation of its new owners (the disreputable Canada-based pay to play voiceover service). Before and during this sale, many voice over agents were not sitting idly by. Before the takeover announcement, some voiceover agents were in very preliminary discussions to see how they could combat the disreputable Canada-based pay to play voiceover service’s negative impact on the voiceover industry. The takeover announcement merely sped up the discussions. Today, those agents made their announcement and it is an impressive one. 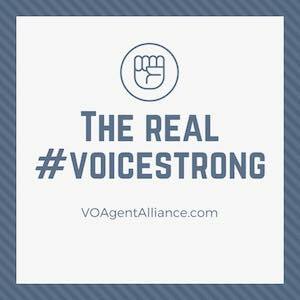 They have introduced the VO Agent Alliance, a collective of vetted professional voiceover talent agencies committed to the highest standards the voiceover talent business has to offer, which should be viewed in stark contrast to the business practices of the disreputable Canada-based pay to play voiceover service. 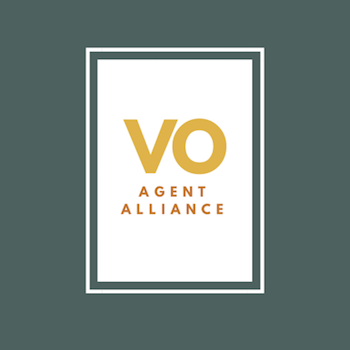 The purpose of the VO Agent Alliance is to offer voice seekers (clients who hire voice talents like media producers, commercial producers, advertising agencies, network promo departments, radio production departments etc.) a free audition submission tool. The tool gives voice seekers access to all alliance member agencies at once. Voice seekers will then have access to some of the best voice talents in the industry (horn toot alert: including me) that seekers will not find on the recently purchased online casting site. 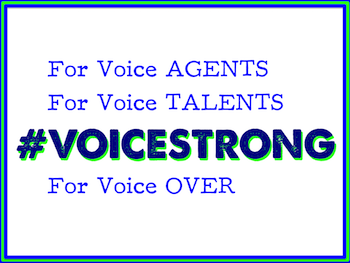 Further, all voiceover agents in the alliance have agreed to a strict set of promotional standards having to do with Fairness, Integrity, Confidentiality, Professionalism and Diligence. These are all areas in which the disreputable Canada-based pay to play voiceover service, now operating from a bigger platform, has shown itself to be significantly deficient. I am proud to recognize my long-term business relationships with Voice Talent Productions, Umberger Agency, Rockstar Entertainment and Ta-Da! Voiceworks – each has been my voiceover agent for many years. History has taught us that it is NOT easy. Experience has taught us that it is rare. Life has taught us that it is within each of us in large and small ways…but it IS in there. The mental or moral strength to venture, persevere, and withstand danger, fear, or difficulty. 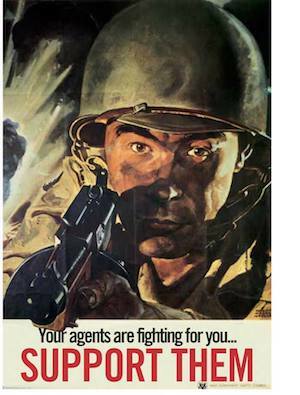 History books and movies are great at depicting amazing and even dramatic acts of courage. 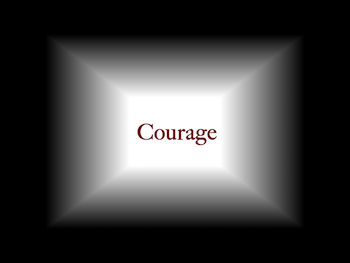 But the truth is, in comparatively smaller, even daily acts, courage can be just as profound. Profound because showing courage in almost any situation is hard. To wake up one morning and find that, completely outside of your control, a key profit center of your business has been significantly altered in a way that is antithetical to your core business beliefs is a situation no small business in any industry wants to face. But that’s what happened this week to hundreds of voiceover talent agencies and casting directors when a Los Angeles-based, central voiceover casting web site announced it had agreed to be acquired by a generally disrespected Pay 2 Play voiceover web site based in Canada. This Canadian company is known for and has admitted siphoning money budgeted for voiceover talent into their own corporate coffers under the guise of project management, unbeknownst to their paying clients. Putting aside for a moment the ethical dilemma faced by agencies having to consider having business dealings with a disreputable company like that who now controls a key lead generation tool used daily by agencies, for these small business owners there is an important and hard financial decision to be made. 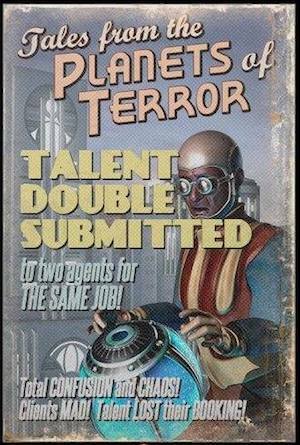 If agencies stay in partnership with this new ownership, they risk working for even lower commissions based on lower fees likely to be offered to voice talents on project posted by the Canadian company that now owns this popular casting site (which is something the Canadian company, as a P2P, has been documented to do for some years now). But if the agencies drop the relationship with the new company, they will get commissioned on 100% on nothing. A key revenue source will be gone. How will they replace that lost revenue? 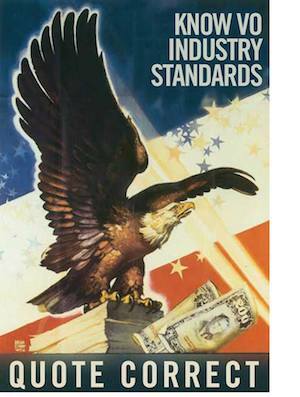 An ethical and financial quandary at the doorstep of voice talent agencies around the globe, all before breakfast. These voiceover agents are small business owners just like you and me. Some are bigger than others and each has their other lead sources and contacts. Nonetheless, a decision either way impacts their bottom line. A very hard decision, with unknown and unforeseen consequences, was before them. Take less of something or 100% of nothing. I would like to introduce you to some people. These are three of my voiceover agents. These four folks are not my voiceover agents but like Erik, Jeffrey & Tanya, each faced a very tough business decision following the Canadian company’s purchase. And decide they did. Each has notified the casting website that they are leaving and will no longer be a paying member. Their collective lack of respect for the new ownership and it’s reputation for depreciating voice talents, agents and their services seems to have helped them make their individual decisions. There may still be more to add to the exit list, but right there are seven (7) examples of small business owners who individually faced a business problem head on, individually had a tough decision to make and individually made the decision to walk away from a table with money still on it (less though it will likely turn out to be). The chance for them to lose significant income is very real. So are their mortgage, car and school payments. Doing the right thing can be very difficult on many different levels. Everyday courage doesn’t often make it to the big screen. But that doesn’t make these specific acts any less courageous.